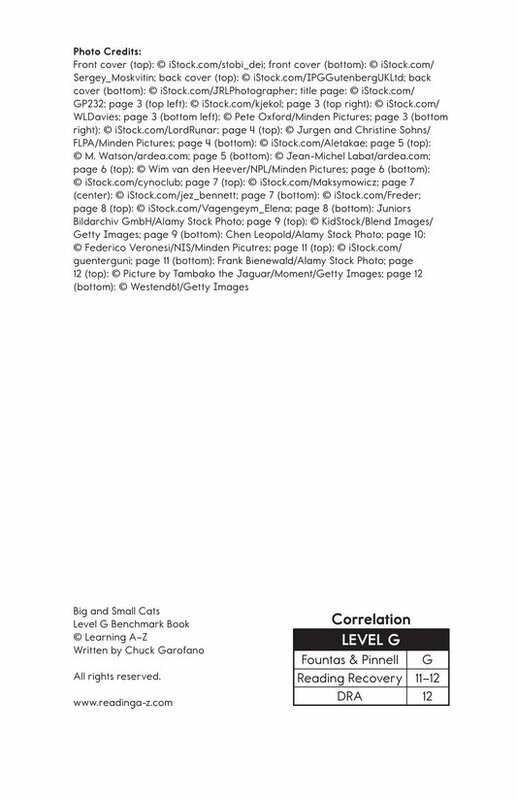 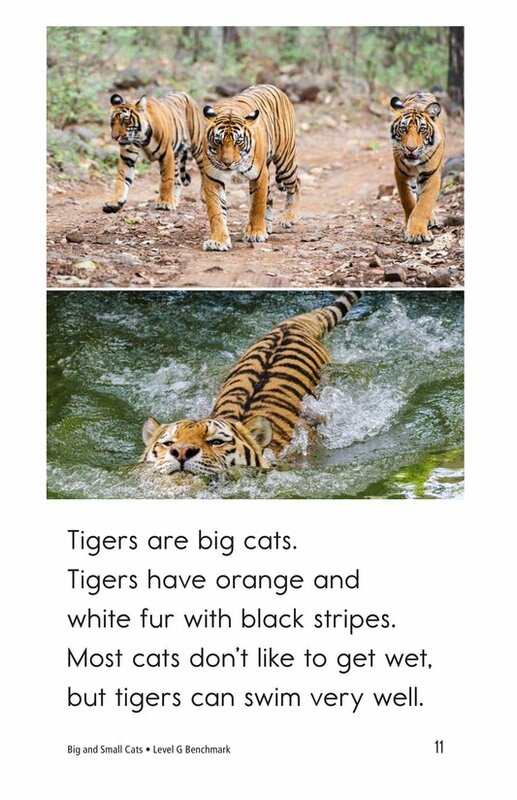 Informational (nonfiction) 182 words, Level G Benchmark (Grade 1), Lexile 360L. 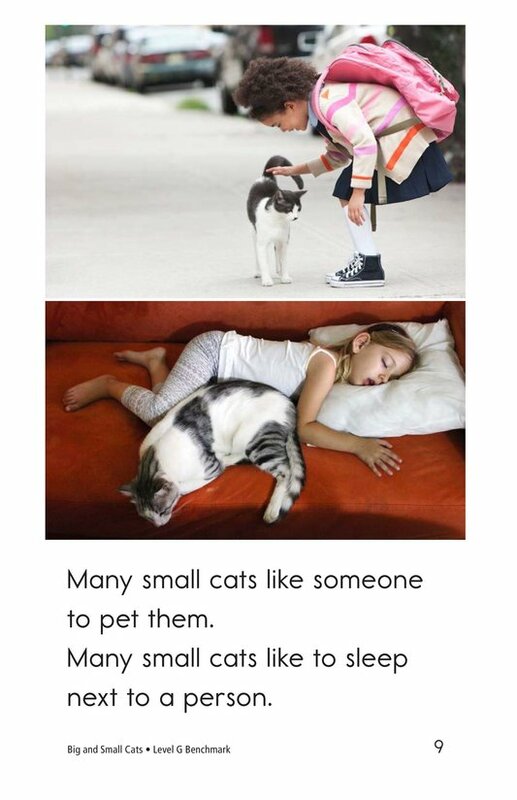 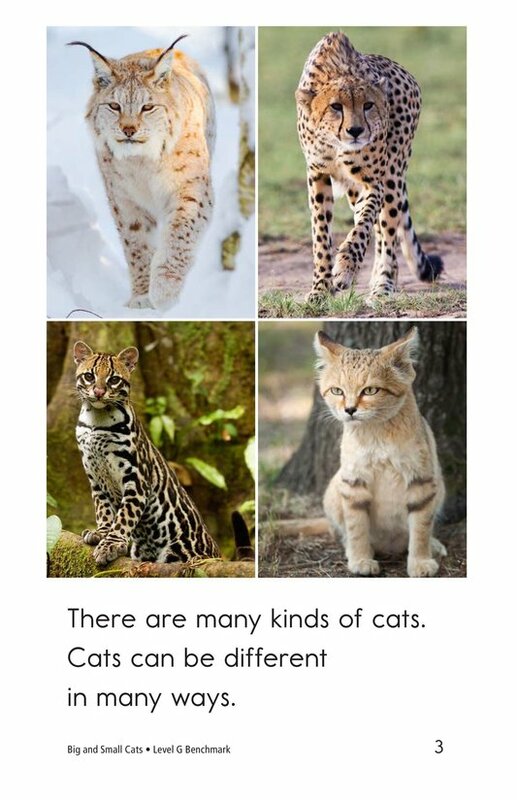 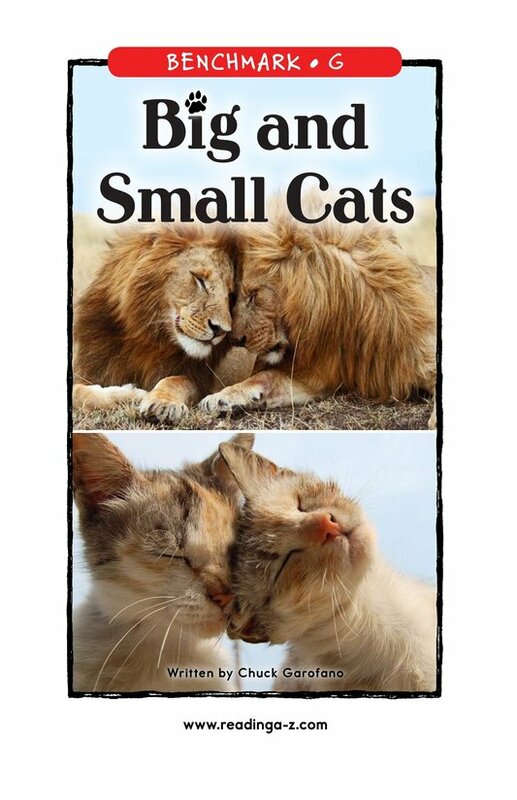 Big and small cats are different in many ways, but also share many of the same qualities. 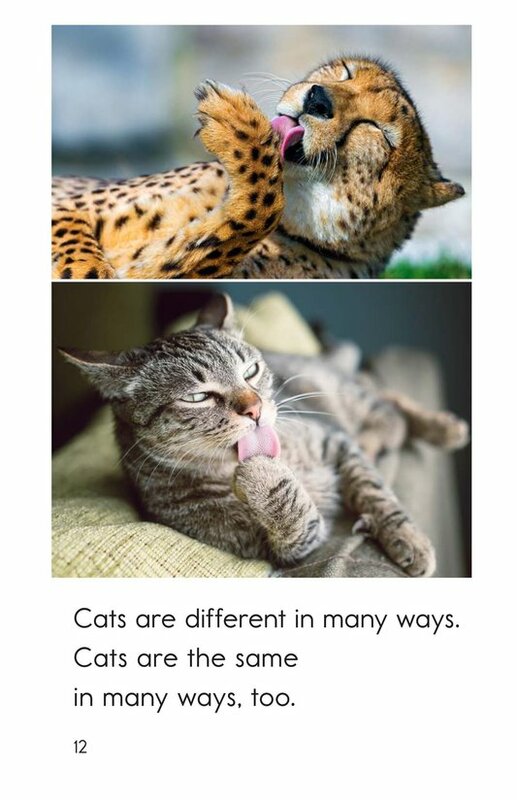 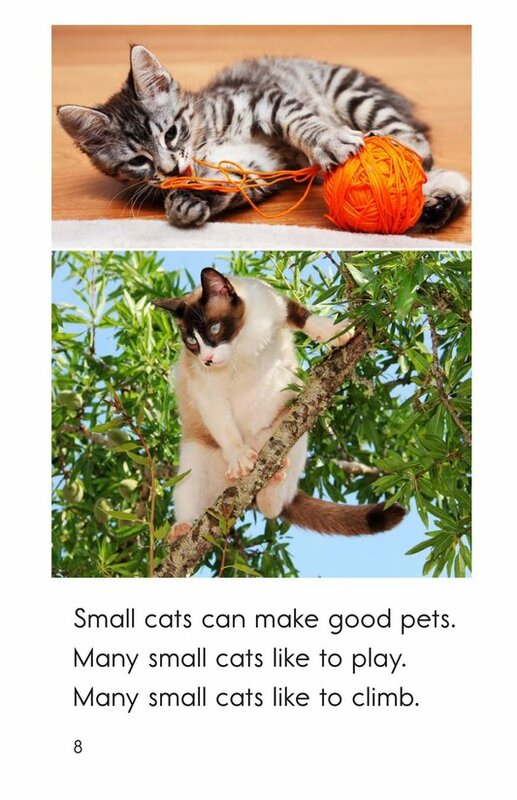 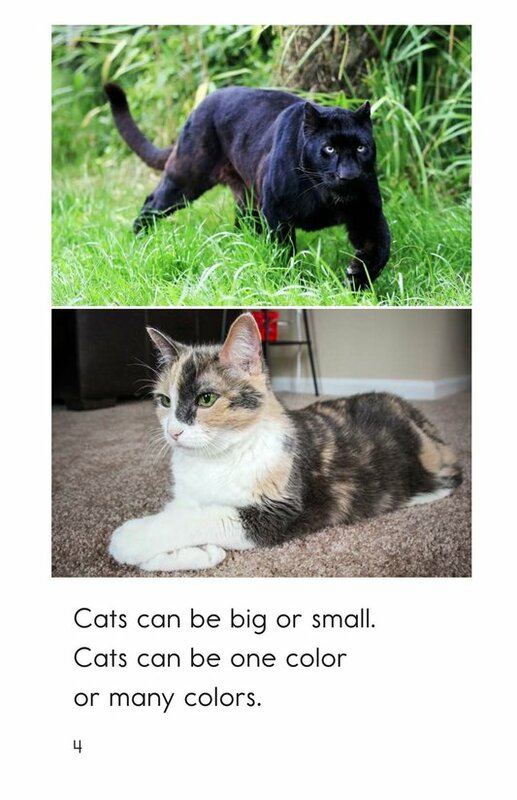 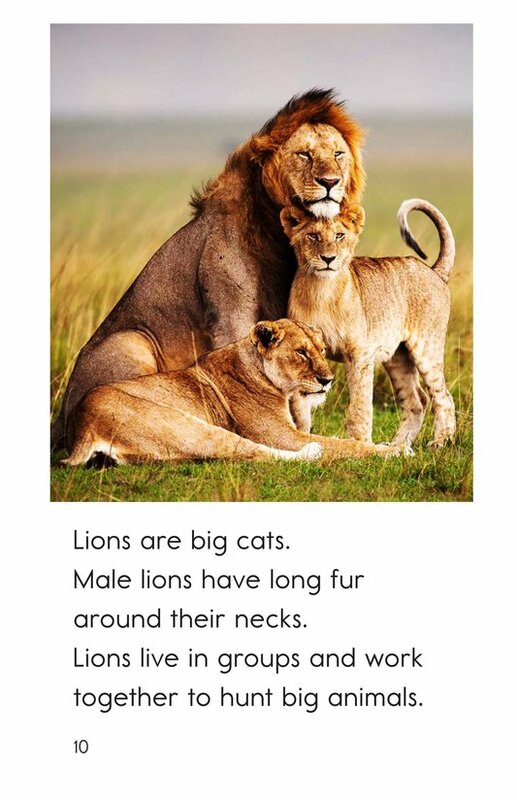 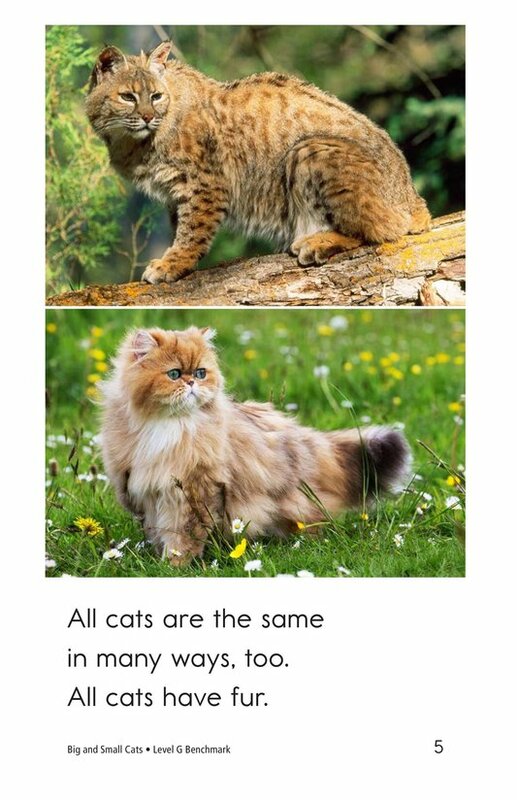 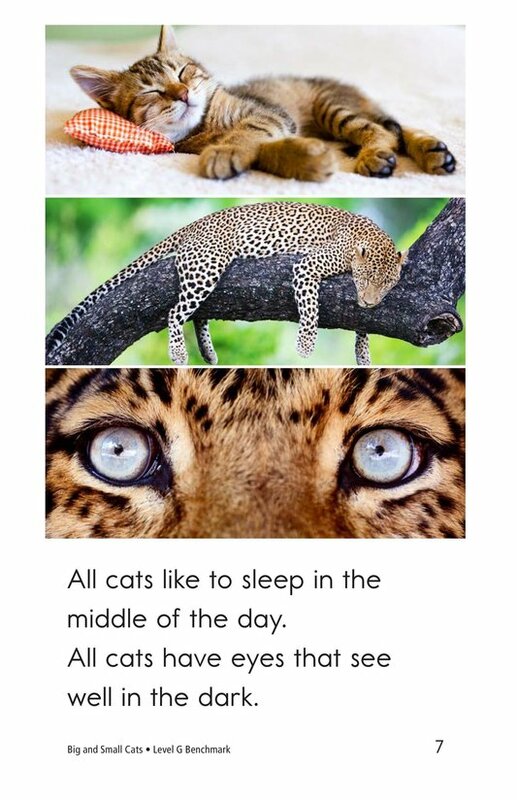 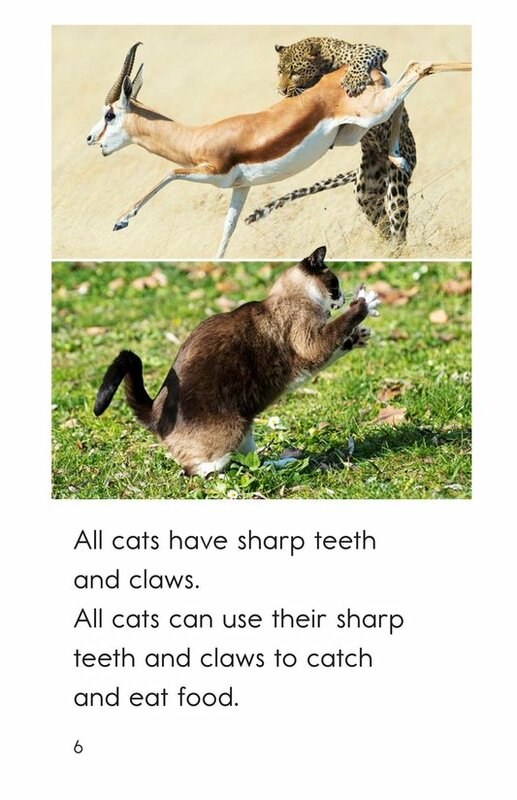 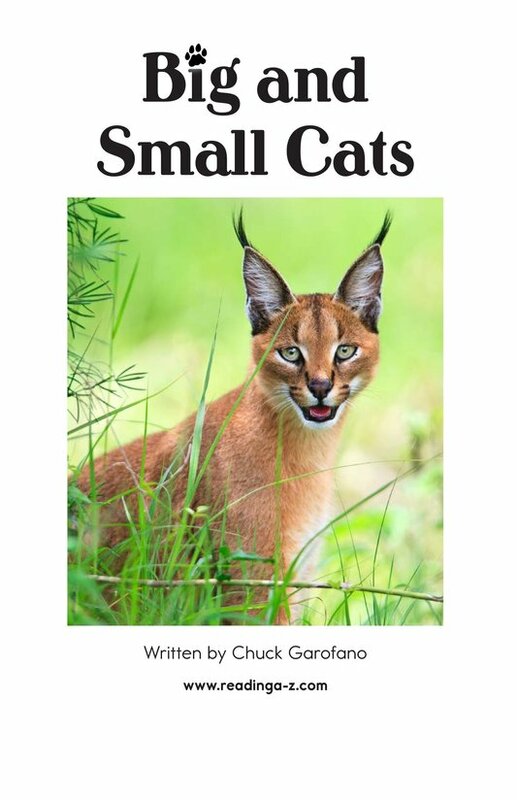 Read along to learn what physical characteristics and behaviors house cats have in common with lions and tigers.